I felt super inspired while cooking the other day, and decided to try stuffed bell peppers. First I made a huge pot of golden quinoa, but I think this recipe would be just as good with instant brown rice. I steamed zucchini, mushrooms, and broccoli, cut up very small. Then I browned some 1% lean ground turkey with some herbs and spices. Meanwhile, the red bell peppers were cooking in the oven at 350 (they were on the top rack of the oven cooking for about 20 minutes). 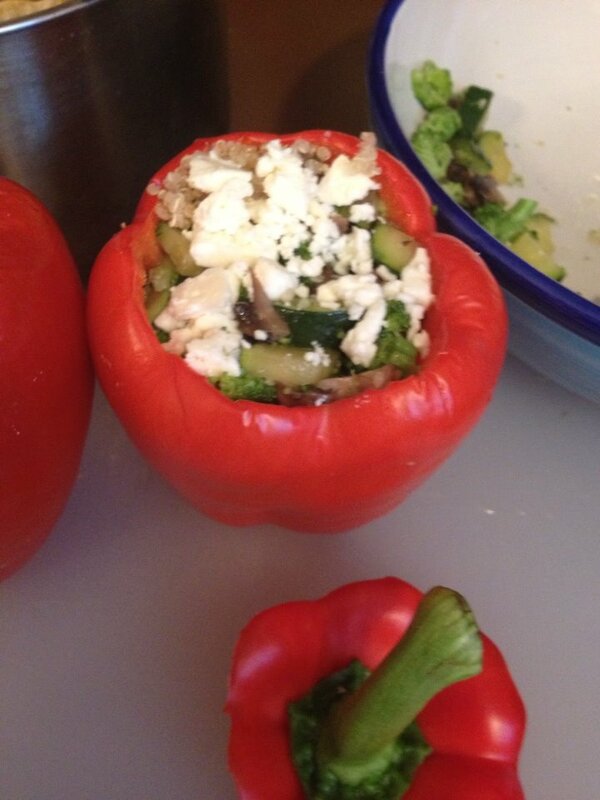 I layered all of the ingredients in the peppers, and then added some feta on top! I had to cut the bottoms off of the peppers so they stood upright, and had carefully cut the “lids” off so I could keep all the goodness inside. 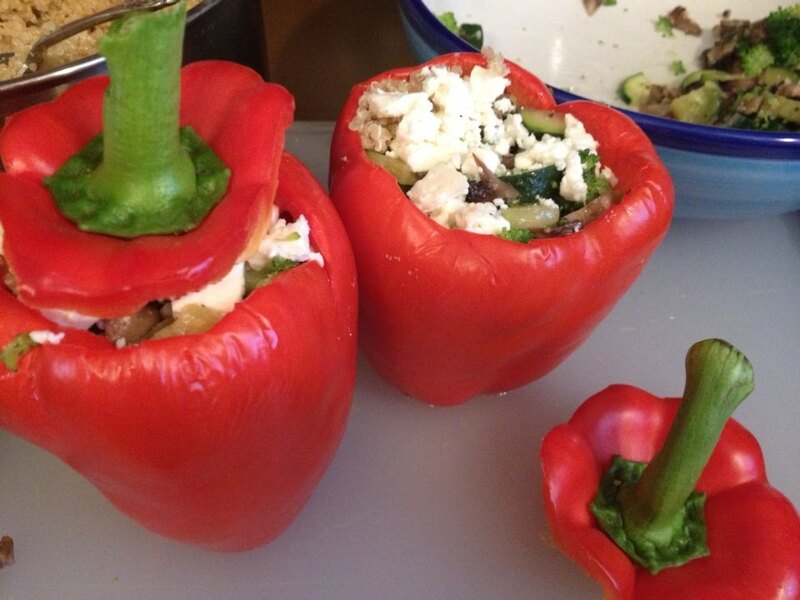 They are so perfectly nutritious, with lean protein, complex carbohydrates, tons of veggies, and feta for extra flavor. Note- I would use full fat feta next time I do this (I had bought the low fat version). I really didn’t enjoy the wet texture of the low fat kind. Enjoy!! A yummy summer dinner for sure!